Later that evening I sent a mail to Marcel telling him that my first impression was fantastic and how I was looking forward to read and study the book in more detail. Over the last few days I've had time to look at the book in more detail and I have to say my expectations weren't disappointed. I think this is a great book for anyone interested in Islay Single Malts and Laphroaig in particular. After a brief overview of the history of whisky and Islay Marcel dives deep into the history of Laphroaig and pieces together the family tree of the Johnston family, the founders of Laphroaig. 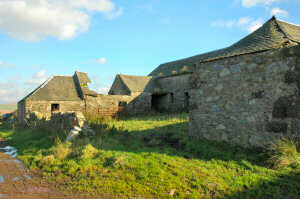 Their connection with whisky starts with Tallant Farm near Bowmore, where they ran a typical farm distillery. Unfortunately not much remains of the distillery, the buildings are in a quite bad state as I could see myself during a visit to Islay in October (Marcel had told me about the buildings). The book then goes into a lot of detail about the history of Laphroaig distillery, beautifully illustrated with a large amount of old pictures and copies of various documents. It is quite interesting to follow the various twists and turns, the intrigues and fights over water rights. A tiny little fact I found very interesting: I always thought the big names on the warehouses were put there a long time ago to help the puffers navigating. 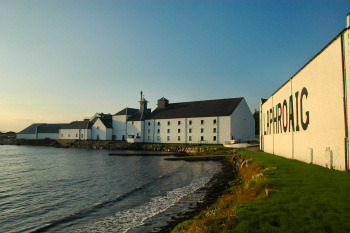 At least at Laphroaig that isn't the case as the name wasn't painted on to the walls of the famous warehouse no. 1 until the 1980s. For me the most interesting part is the next part, called ‘The People’. It introduces the people who make the whisky at the distillery or show visitors around while weaving it together with explaining the processes of distilling and maturing a single malt whisky. I think this really makes the book come alive, the short personal quotes mixed with the facts. The last section shows various examples of Marcel's extensive Laphroaig collection. As mentioned previously I'm not a collector, but looking at the pictures and descriptions I can understand the fascination of collecting. It is a way of documenting history and is interesting to look at even for non-collectors like me. So what's the final verdict? A fantastic book I think everyone interested in Laphroaig and Islay should have on their bookshelf. A huge amount of information for those interested in the detail combined with a lot of pictures for those who just want to look at nice views. 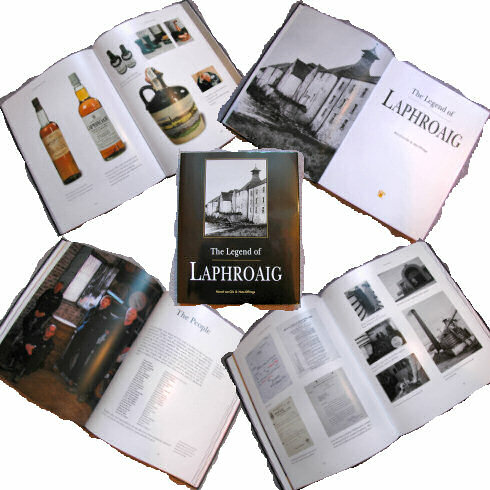 If you're quick you might still be able to get it for Christmas, ordering information (and further information about the book incl a PDF preview) is available on Marcel's The Legend of Laphroaig book page. Thank you Marcel and Hans for a great book about Laphroaig and Islay!